This is no ordinary rockfish charter and is a great opportunity for you to catch the largest rockfish on the Orgon Coast. 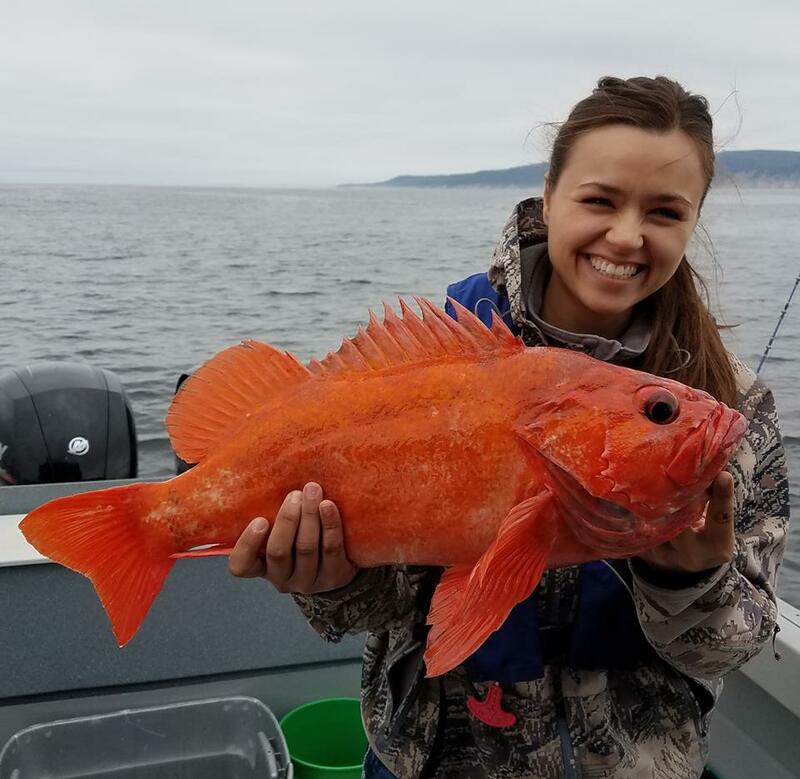 Our offshore rockfish trip is the newest type of rock fishing approved by the ODFW and produce’s the largest rockfish anywhere on the Oregon Coast. You will not be disappointed!! You will fish with 3 hooks 30 feet off the bottom of the ocean outside the 40-fathom line targeting much larger rockfish than you’ll find near shore around the reefs, plus you can keep 10 rockfish that typically average 6-8 pounds, sometimes even bigger. You will catch Yellowtail, Widow, Canary, Bocaccio, Chilipepper, Redstripe, Greenstriped, and Silvergray rockfish. Did I mention this is a whole lot of fun? Once your fish bag limit is caught or the allotted time for the charter has expired we will return to the charter office where your fish will be fileted and bagged and no extra cost. This trip is scheduled for 5-6 hours. Included in cost of this trip is all bait & tackle, bottled water, and coffee. Fishing license is not included and should be obtained prior to your scheduled departure. Master 100 Ton Captain Curt Shoults will ensure your safety, fun, and enjoyment on this trip. You are in great hands!